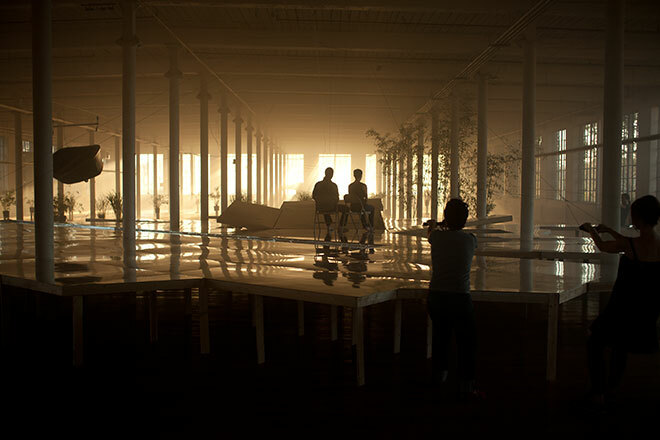 What Stands Between Us and the Sun is a single channel video, site-specific video installation, and a series of photographs. 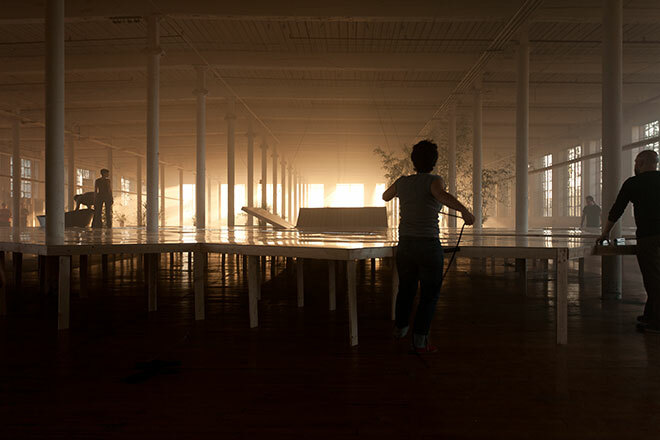 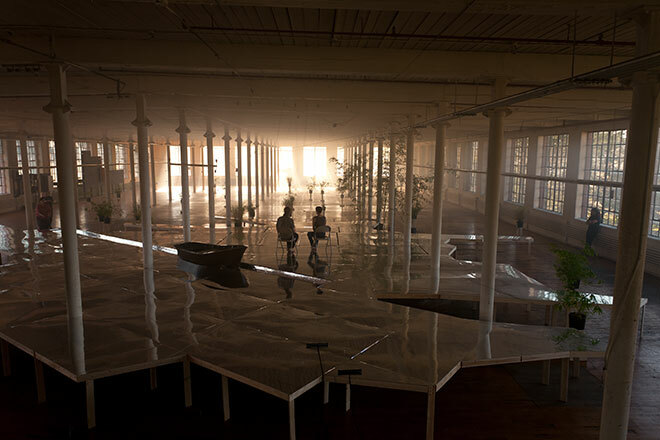 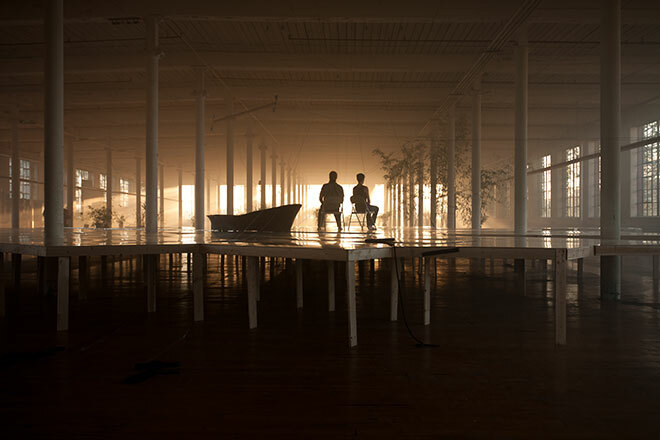 In an abandoned industrial mill building in Central Falls, Rhode Island, the birthplace of the American Industrial Revolution, a couple travel by boat across an artificial lake and set up chairs in order to view a sunset through the factory windows. 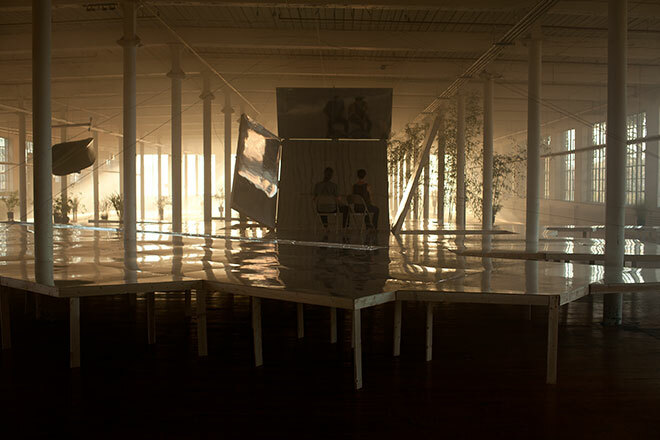 A room, lifted by people with pulleys, folds out of the surface of the lake and blocks the couple’s view of the sun. 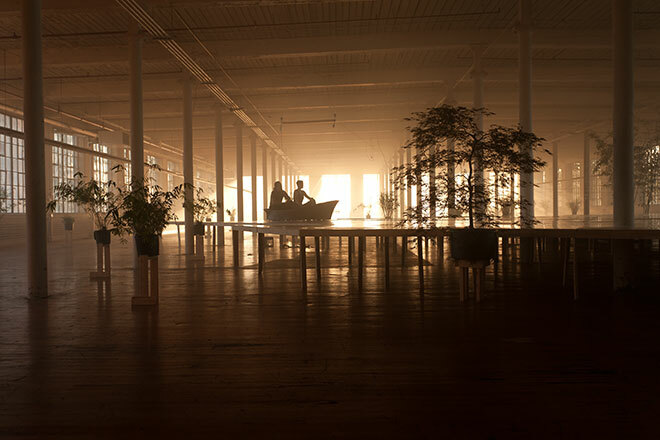 The soundtrack was recorded and performed by Megan and Murray McMillan.